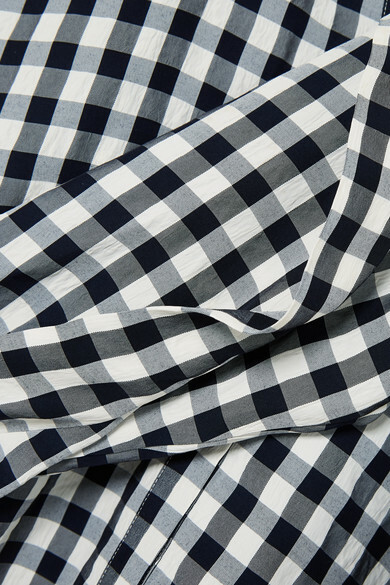 Maje presented several pieces decorated with this monochrome gingham pattern at its Spring '19 show. 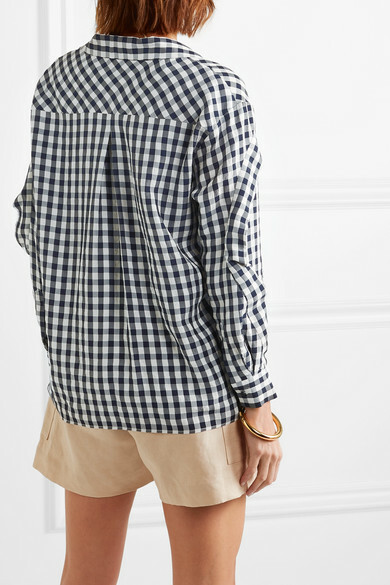 Cut for a relaxed fit, this shirt is made from lightweight canvas and has ruffled trims at each sleeve. 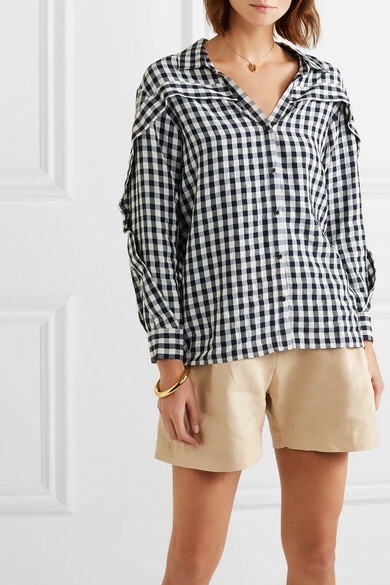 Wear yours with tailored shorts or jeans. Shown here with: Joseph Shorts, Rosantica Tote, Nanushka Slides, Sophie Buhai Bracelet, WALD Berlin Necklace.